Sometimes the answer you’re looking can’t be found. Check out our FAQ’s below and if your question is still unanswered call our friendly staff on 9274 1482. Do I need a referral for Physiotherapy from my doctor? If you are seeking treatment for an injury sustained at work or after a motor vehicle accident, you will require a doctor’s referral to allow us to claim directly from your insurer. Also, if your doctor has referred you to physiotherapy under an Enhanced Primary Care plan (EPC), we will require a copy of that specific referral to claim your treatment costs from Medicare. If you are covered under the Department of Veteran’s Affairs (DVA), we require a current referral from your doctor for Physiotherapy services. DVA referrals are valid for 12 months. There is no gap when claiming through the Department of Veterans Affairs. If you are paying privately, you DO NOT need a doctor’s referral to seek physiotherapy assessment and treatment. Because costs can be different for multiple reasons, we can’t give a cost, however, if you call our friendly reception and explain what your appointment would require, they can give you an estimation of the cost. Private patients are eligible to claim a rebate from their Private Health Fund for services received by a Physiotherapist. Patients covered under Department of Veterans Affairs; Workers Compensation; or approved for treatment from a Motor Vehicle accident will not be required to pay any gap for treatment received. Patients covered under an Enhanced Primary Care Plan (EPC) will receive their Medicare rebate onsite and only be required to pay the gap for their treatment..
Are there specialist Physiotherapists for specific conditions? All the Physiotherapists are qualified to treat any musculoskeletal or sporting condition. In addition, we have Masters trained Musculoskeletal and Sports Physiotherapists working within the practice. Can I claim from my private health fund on the day? We provide a Tyro facility which allow processing of same day rebates for most Private Health Funds. Not all Private Health funds support HICAPS but we can check this on the day for you. Can I request a female Physiotherapist? Absolutely. It is important that the client and the therapist establish a comfortable rapport. Please inform the reception staff when making your initial booking that you would prefer to see a female therapist. Can Physiotherapists refer me for x-rays or other investigations? As Health Professionals, Physiotherapists can refer patients to private radiology clinics for a range of investigations including X-rays, Ultrasound scans and MRI’s. The cost of the service, when referred by a Physiotherapist as opposed to a doctor, may be higher. Discuss this with your Physiotherapist. Depending on availability of our therapists, we will endeavor to assist any client unable to physically get in to the clinic. 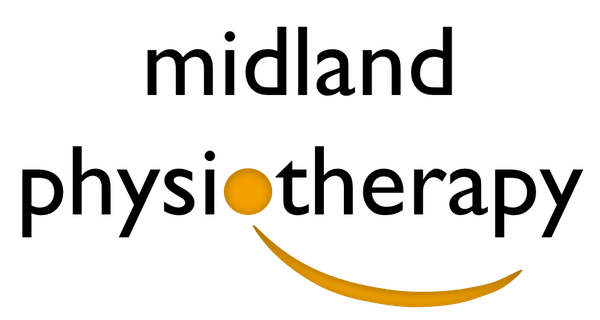 How long will my Physiotherapy session take? Treatment times vary depending on your type of condition and your individual circumstance. Initial consultations generally take longer than the subsequent sessions as the Physiotherapist gets a full history of your case and performs a thorough initial assessment. On average, you can expect your session to last between 20-40 minutes. Women’s and Men’s Health sessions generally last longer, with initial assessments expected to be up to one hour in duration. Ensure you mention that you are attending for Women’s / Men’s Health issues when you make your appointment so that sufficient time is set aside. Patients referred to Physiotherapy by their doctor under an Enhanced Primary Care plan are eligible to claim up to five (5) allied health (eg. Physiotherapy; podiatry etc) sessions per year from Medicare. You must discuss with your doctor your eligibility for this programme. Is Physiotherapy covered by my private health fund? If you have ancillary health cover in your Private Health Insurance policy, then Physiotherapy is an eligible item. The amount of cover your Private Health Fund provides will depend entirely on your level of cover and your individual health fund. Is there a gap when insured through workers compensation or under third party motor vehicle insurance? If you have an eligible claim through Workers Compensations Insurance or Motor Vehicle Insurance, you will not be required to pay a gap for treatment received for your injuries. We will liase with your insurer to arrange direct payment to the clinic for any treatment you receive. Bring along any relevant medical reports or x-rays/scans etc that are easily accessible. If you have had scans taken but do not have the scans or the reports, please do not worry as your Physiotherapist can chase these up if they so require. If you are covered under Workers Compensation; Motor Vehicle; Enhanced Primary Care plans; or Department of Veteran Affairs Insurance, please bring along appropriate paperwork, including claim numbers and doctors referrals. If you are covered for ancillary benefits in a Private Health Fund, please bring along your Private Health Insurance card so that we can swipe it directly on the day to claim your eligible rebate. Preferably loose, comfortable clothing but this is not essential. Your therapist may request you bring in shorts or some specific footwear if appropriate. Why should I see a Physiotherapist rather than another health professional? Physiotherapists are University trained health professionals who provide assessment and treatment of musculoskeletal and sporting injuries. We are recognised as experts in the field of exercise therapy and rehabilitation. Physiotherapy is an evidence-based profession with clinical research supporting it’s efficacy and validity.